Making skin look and feel beautiful can be as simple as choosing a product that contains antioxidants. 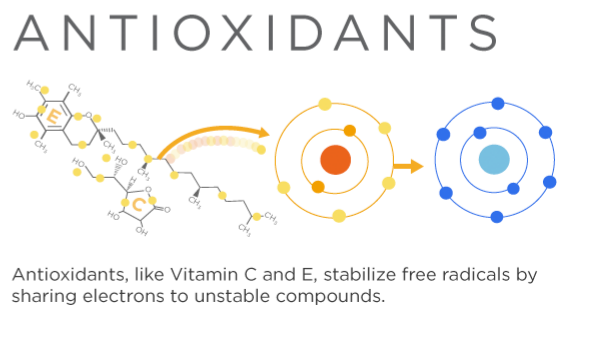 Antioxidants help to prevent cell damage created by free radicals (a term given to certain groups of volatile or reactive molecules) commonly found in the environment or in everyday substances. They can be found naturally in fruits, vegetables, teas and other pieces of yummy goodness. 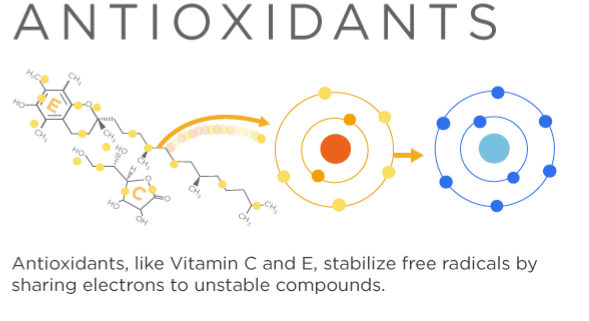 To understand more about how antioxidants can help you, read on…..
Antioxidants come in many forms. Some are best if taken orally while others reap the rewards through a topical application. Rosehip, Jojoba and Vitamin E oils are just three examples of oils rich in antioxidants and have properties that function as healers. Rosehip is a powerful antioxidant. Its rich texture combines lycopene and beta-carotene as well as Vitamins A and E. Its healing properties can help subdue redness associated with acne and rosacea. Rosehip rehydrates, making it a great replenisher after a hot day. To make a mask, simply add a tsp of honey with a serving of Greek yogurt. Add 5-7 drops of rosehip after mixing the honey and yogurt. Let sit on your skin for about 15 minutes before rinsing. Admire your beautiful skin! Jojoba oil has many benefits. 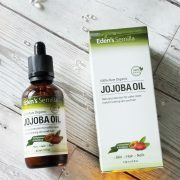 Aside from its ability to cleanly remove make-up, jojoba oil can be used as a topic antioxidant to help reduce signs of wrinkles while also hydrating skin. When our bodies naturally begin to produce less sebum, jojoba works its magic and helps replenish the natural sebum in our skin. Jojoba is known as an emollient, meaning it protects against pesky dirt and bacteria that seek to enter through pores. Jojoba oil can appear thinker than some oils. Despite that, jojoba oil does not clog pores. Instead, it serves as a natural block to bacteria. A study conducted in Germany concluded that jojoba oil has the ability to reduce skin lesions. One hundred and ninety participants applied a clay jojoba oil mask to their face 2-3 times a week. That lesions were significantly reduced. Vitamin E oil is versatile in its healing properties. Studies show that Vitamin E can reduce scaring after a burn. That’s good news! The University of Maryland released a study in which different varieties of vitamin E oil were compared against one another. 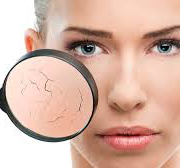 The study concluded that vitamin E oil rich in alpha-tocopherol cream helped reduce the depth of fine lines and wrinkles as well as the roughness of skin. As a powerful antioxidant, vitamin E oil can be applied topically without fear of a skin irritation. Some varieties of vitamin E oil can be taken orally. The clove is native to the Spice Islands (ironically!). 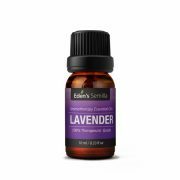 It’s a more potent essential oil that can be applied topically but with careful guidance. Acne is caused generally when there is an excess of oil build up on the skin. Clove is purifying and can be used to reduce inflammation after a breakout. Remember to add a carrier oil with clove as it can be an irritant if used independently. Jojoba oil or coconut oil is a great match for clove oil. Or, if you prefer a thicker oil, coconut oil can be used in combination with clove oil to form a face wash. 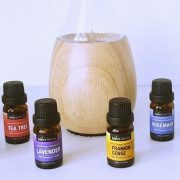 Explore the essential oils that cater to antioxidants. There are many and many that pride themselves in reducing fine lines and the early signs of aging. Green tea can contain caffeine, so be aware of consuming in large quantities. To reap the benefits of green tea, look for caffeine-free tea. Green tea contains catechin polyphenols, which are high in antioxidants. Recent studies allude to the idea that green tea can serve as a shield to protect against various diseases. Green tea is said to improve physical performance, which can in turn, lead to healthier skin throughout. Grapes are incredibly healthy, but as a culture, we neglect, perhaps, the healthiest part of the grape: the seeds. Grape seeds are rich in powerful antioxidants and natural plant compounds called oligomeric proanthocyanidin complexes (OPCs). That’s a fancy way of saying that grape seeds are known to decrease free radical molecules floating around the body. Grape seed extracts can be found in many red wines, so while it’s not recommended that you snack on heaps and heaps of grapes, you can substitute grapeseed oil over vegetable oil while cooking. Vitamin C is critical for survival. Vitamin C is rich in antioxidants. Antioxidant effects of vitamin C have been conducted in vitro. After conducting such experiments, we learned that human diseases such as atherosclerosis and cancer might occur in part from oxidant damage to tissues. Increasing amounts of vitamin C could therefore decrease the number of oxidants in the body. Your skin benefits too! Increasing vitamin C can decrease red marks and go so far as to protect skin against pollution. Pomegranates are the wonderful seedy fruits we can’t help but look at. They hold healing powers for our skin. They naturally act as a hydration method for dry skin. Its powerful antioxidant properties protect skin against the blaring sun on summer days and prevent premature wrinkles. Pomegranate seed oil can be very concentrated so proceed with caution when applying directly to the skin. Dilute with a carrier oil when placed directly on skin. Garlic is another great source of antioxidants. Sulphur is an active molecule in garlic. 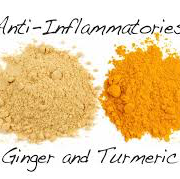 It helps prevent infections and reduced inflammation. It’s naturally soothing characteristics help give skin a natural glow. Garlic can be used as a spot treatment for acne. Take a fresh clove of garlic and lightly press on the skin and gently release some of the liquid from the clove. If the pure garlic is too much, combine chopped garlic with honey and yogurt to create a paste before applying to the skin directly.